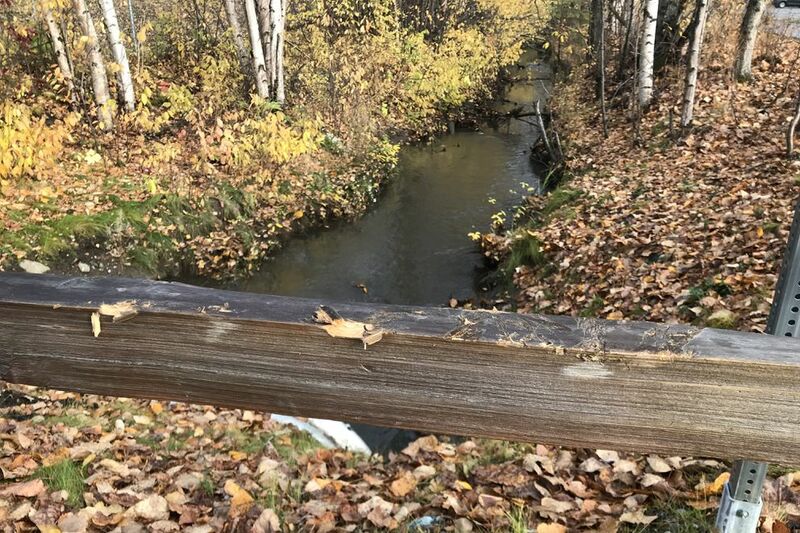 I don't remember if we heard it or saw it first, but the sound was pure agony, a tortured bellowing in a patch of woods in East Anchorage. We ran toward the noise along the bike trail. 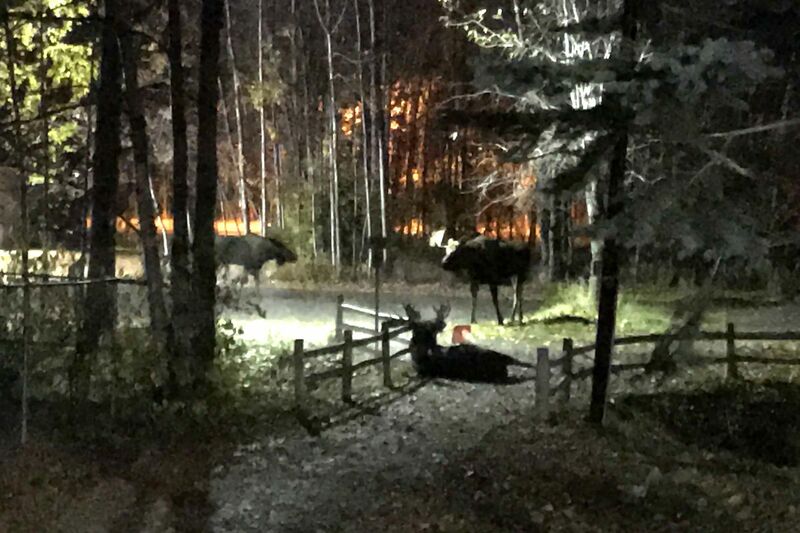 Soon we saw two moose in silhouette, one lying on the ground, lit from behind by security lights on a building. Bulls in rut. I've lived in Alaska for almost 25 years. Like many here, I've watched bulls spar, seen cows lick their newborn calves. I've been chased by moose (once by a particularly crazed cow that I've always wondered about) and watched them strip leaves from branches and munch. 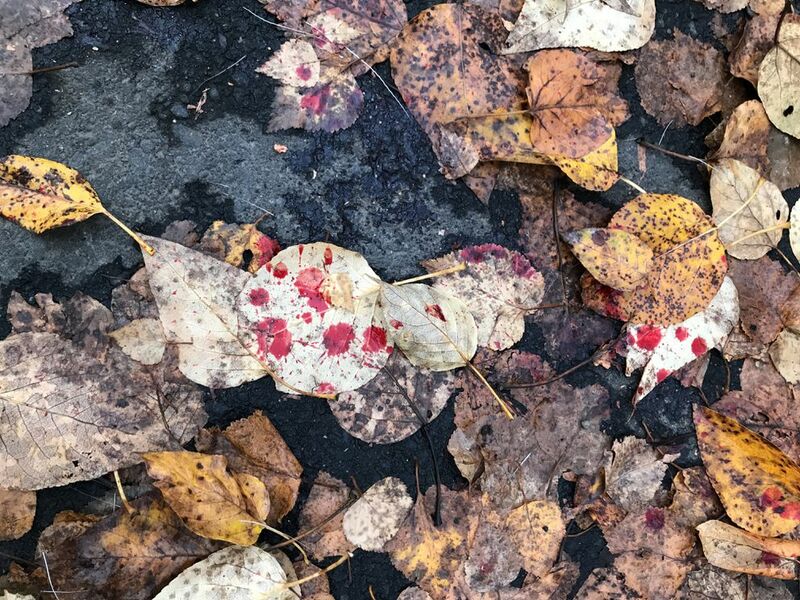 But I've never seen anything like the stark scene of wild violence that unfolded a few days ago, there within view of Northern Lights Boulevard in the middle of urban Anchorage. The standing bull looked massive. We watched it shove a second bull along the ground. The sharp tines of its rack had found their way into the soft underbelly of the other moose. In the darkness, we made out the shape of a third bull, watching. All the while the injured animal moaned, so pained and almost human in its intonation, like a man being brutalized. We watched, horrified and fascinated, as the big bull shoved, ripped and mangled the other moose on the ground. And then it walked away. The gored animal lay limp, propped against a fence. The third bull approached it and sniffed. Biologists don't know exactly how many moose are in the Anchorage Bowl and are conducting a years-long DNA study to get a clearer count. But the Alaska Department of Fish and Game's biologists estimate there are 1,500 moose in the entire 14C management area, which includes all of the Anchorage Bowl, Joint Base Elmendorf-Richardson, Eagle River, Chugiak, Eklutna, Chugach State Park, parts of Chugach National Forest, Girdwood, Portage and an extended area around the Knik River, and Lake George and everything in between. We assumed that the dominant bull was older and bigger. I learned later, talking to Fish and Game's area biologist Dave Battle and assistant area biologist Cory Stantorf, that the three bulls there that night were likely close in age, and none of them siblings. Bulls with a big age difference don't often fight, since that hierarchy is relatively obvious, they told me. It's the moose of similar age that resort to sparring and fighting to determine the right to breed. The rut this year is actually winding down — the main time for the rut (breeding season) is late September and early October. Maybe because the weather has been so mild, I thought, the rut was just getting started. Battle said that the length of days, the amount of light, is what drives the season, not the weather. The rut is a taxing time for bull moose. They don't eat and lose 30 percent of their body mass. Since it's right before winter, it can leave them depleted going into the cold weather. After what seemed like a long time, the downed moose struggled to its hooves. One of the rear legs dangled. The animal took a few steps and stopped, then continued, haltingly, down the trail, then into the creek. The other two animals melted into the dark forest, as they so often do. We walked home. Much of the hierarchy of dominance between moose for breeding purposes is decided by body language and posturing, Battle said. He talked about a bull standing fairly still but moving its head this way and that, so another bull can fully see the size of its rack. The slow-motion movements of the dominant bull that night surely sent big messages to the other bulls regarding its status. I kept thinking about that rack and the damage it did. As bull moose age, their racks get bigger — up to a point, Battle said. After passing their prime age, their racks become smaller each year, as they have diminishing energy resources for the massive growth of antler. Battle said the fight we saw was a serious one. The injured bull could die of an infection or of blood loss or not have resources to survive the winter, he said. He also said that moose are resilient and live through many events. 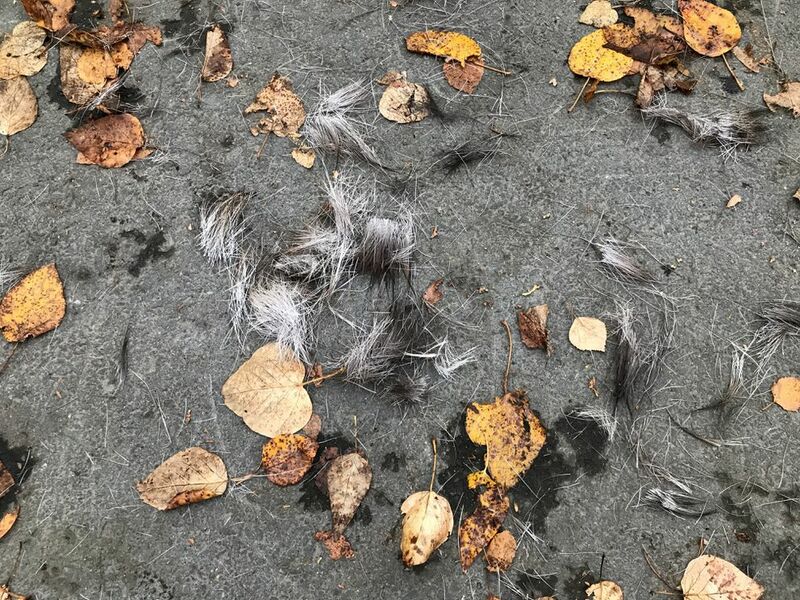 The next morning, we went to find the dead moose, but found only hair and blood mixed with the yellow cottonwood leaves. There were fresh gouge marks in the wooden fence where it had been pinned and it antlers had dug in as it struggled. A distinct blood trail led into the creek.